"....You must be very careful. Your mother was insane. If you're not careful you'll get insane just like your mother. Your mother was a white woman. They had to lock her up, as she was having a child by the stable boy, who was a native". And yes, Elizabeth ran mad; though, it was some years later. Prior to that, she married a gangster recently out from prison, with whom she had a son. A year later, she left him and South Africa entirely to Motabeng, Botswana where she worked as a teacher, with a no return exit. "She did not care. She hated the country. In spite of her inability to like or to understand political ideologies, she had also lived the back-breaking life of all black people in South Africa. It was like living with permanent nervous tension, because you did not know why white people there had to go out of their way to hate you or loathe you. They were just born that way, hating people, and a black man or woman was just born to be hated. There wasn't any kind of social evolution beyond that, there wasn't any life to the heart, just this vehement vicious struggle between two sets of people with different looks". Life in Motabeng was calm at first and then Elizabeth's descent into insanity was gradually appreciated. She had mental disorders typical of Schizophrenia (though the medical diagnosis was never mentioned), from hallucinations, delirium, delusions, moods disorder, asocial behaviour to suicidal thinking. At some point she was raving mad. Considering Elizabeth's circumstances and surroundings: the oppression of the apartheid regime, her disturbing background (her white family never loved her because she was black and there was no idea who her black father was) no sense of belonging and identification, no ability to choose a life partner to love and to be loved in return, alone in a pitched uphill battle. In my opinion, they all contributed to her mental illness. Not just because her mother was insane. All the same, she was still an intellectual woman with a beautiful mind I strongly admire. This is a novel I read confusingly, I was incapable of comprehending what transpired in Elizabeth's hallucinations. Although, I am wholly to blame, not the book, in that it is puissant, poetic, lyrical and thought- provoking. Again, I read somewhere that Bessie Head, whose life's trajectory was like that of Elizabeth, started writing this novel when she was admitted in a psychiatric hospital for a mental breakdown. There were a whole picture of her hallucination and delusion in writings, which were beyond me. This review is in honour of Bessie Head and her Work hosted in Kinnareads. Bessie Head would have turned 76 on the 6th of July 2013. She was born in Pietermaritzburg, South Africa, the child of a wealthy white South African woman and a black servant when interracial relationships were illegal in South Africa. In 2003 she was awarded the South African "Order of Ikhamanga in Gold" for her "exceptional contribution to literature and the struggle for social change, freedom and peace. Please click here to read more about Bessie Head. It must be an interesting read. Anyway is it your case that you could only have avoided the confusion( as you indicated) by being in the state of mind that Thr writer was in? Lol.. Perhaps. Though similar state of mind would be unbearable. Hi Mary, I've ordered this book, it looks difficult, but interesting. Lisa, I must confess it was not an easy read. Though, it was quite interesting and insightful. Thanks for your review. I have been reading Rain Clouds Gather which I think is a much easier read. It makes same points about hardship and isolation, but without the hallucination. MD thanks for stopping by. I look forward to reading "When Rain Clouds Gather". Mary, when I rad A question of Power I could not make any sense out of it. I could not even grasp what you have written above. You've done a fine job of it. It's really unfortunate that Bessie had to go through all that. 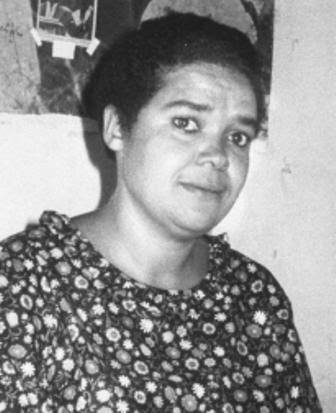 Though apartheid played a major part in her situation;, I believe that she also must have contributed in some way to her inevitable breakdown and illness leading to her death.Nevertheless, Bessie head's exceptional writing acumen is not debatable. Sometimes circumstances put one between a rock and a hard place. It is easy to run mad when one is so unfortunate. I look forward to reading your review on Maru. I hope it will convience me to purchase the novel. A Question of Power is a very special book. For an author to describe hallucination and oppression whilst suffering it directly is a marvel. At best, it should have incapacitated her. But Bessie did not succumb. It's one of the reasons why I love the book. On the book itself, the power relations she captured were stunning. Her victimhood offered her a unique appreciation of power relations. Glad you read it, even if confusingly. It will settle. I was also confused. At first. It was a powerful book indeed. Although I truly admire a novel that writes madness via the author's (even temporarily) inhabiting that state herself, it makes for very difficult and exhausting reading; I enjoyed reading your thoughts on this one, particularly as I opted to read Maru and left this one on the shelf...for now, at least. Another time. Yes, it was kind of difficult. From what I read on other blogs, Maru is quite different from a "A Question of Power". I think the latter should not be the first introduction to the writer's work. it could deter one from reading her other novels. A Question of Power can be overpowering to say the least. 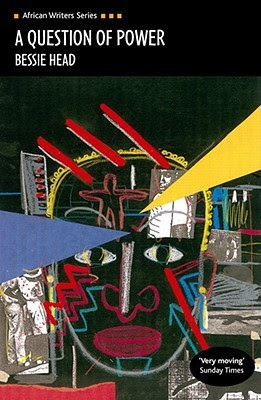 Head returns often to the motif of abandoned child, white mother/black father, societal rejection in a number of her books, including The Cardinals which is her first long work. I just finished reading that and will review soon. It's also mind-blowing. Thanks for the review and for participating. Overpowering indeed.Bessie's life was quite a perturbed one, or so I found it. All the same it was no deterrent to write overwhelming novels. I look forward to reading your review on The Cardinals. I hope to participate in more reading, paying homage to writers. Please, keep me posted. Currently reading the book for a class assignment on the issue of the out caste. Jeez its so confusing. Not an easy read but it really worth it. It was a deep read, I also must confess. Some times beyond my comprehension too. However, it is no deterrent to ignore its singularity. Thanks for stopping by. A good review i must say.However,thinking of the novel from the sychoanalytic view i cant really comprehend what led BESSIE HEAD to use one main character,Elizabeth to bring out the literary criticism of the situation in SOUTH AFRICA.What would be your sychoanalytic literary criticism of the novel in relation to the author and the other characters in the novel? No doubt, A Question of Power, is the most disturbing novel of Bessie Amelia Emery Head. It is a writing of "self" into a fictional narrative through Elizabeth, the most significant character. However, most readers find difficult because of its complicated and fragmented storyline(s). It is a novel in a hurry whose plotline is unaccountably dull. Bessie wrote that novel in less than six months particularly at the time she was going through some psychological pressures. She was alarmed. The novel, being the last of her fictional works before her death was or is a kind of good-bye to a world that inflicts pains on suffering humanity. Difficult it may, but, it is the best of all her responses to the binary notions of good and evil. Well done Mary! Thank YOU Joshua... love your addition. Thanks.